Which college majors pay the most? Researcher Hannah Kwak looks into the top college majors in demand offering high earnings after graduation. You’ve heard it before: If you want a high-paying job, you should be a STEM or business major. Avoid the liberal arts because you’ll end up working in a coffee shop or doing something equally unrelated to your major. College should be about preparing you for a career, so choose a major that is most likely to help you get a job after you graduate. And never, ever major in philosophy. 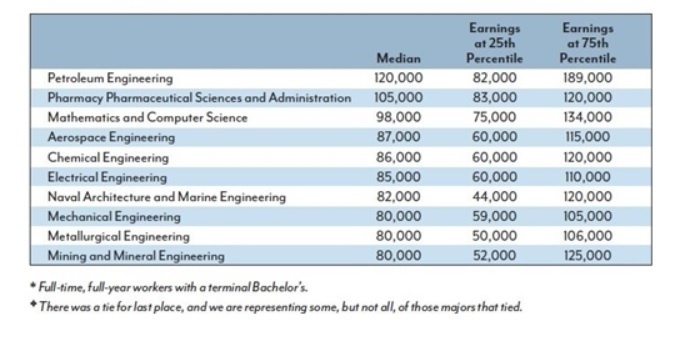 The top 10 majors with the highest median earnings all fall under STEM. However, framing the conversation in terms of STEM versus the liberal arts can be misleading. Here are four exceptions and complications that impact the value of college majors. Many people believe that the point of college is to prepare you for a career and therefore, because the liberal arts aren’t tied to a specific career path, you shouldn’t major in them. What these people often overlook, however, is that plenty of pre-professional majors lead to lower earnings than the liberal arts. According to a 2014 report by Georgetown University’s Center on Education and the Workforce (CEW), counseling psychology is the lowest-paying bachelor's degree major, leading to a median full-time salary of $29,000. This is followed by early childhood education (with a median salary of $36,000) and theology and religious vocations and human services and community organization (both with a median salary of $38,000). In comparison, English language and literature leads to a median salary of $48,000 and humanities and liberal arts to a median salary of $47,000. In other words, the majors which tend to receive the most criticism from the public are far from being the worst offenders, at least when it comes to earnings potential. Most people would not guess that molecular biology is among the lowest-earning majors, pulling in just $28,000 at the 25th percentile. For comparison, other majors with the lowest earnings at the 25th percentile include counseling psychology, theology and religious vocations, and visual and performing arts. This is because some STEM majors lead to high earnings only after the completion of graduate school. According to the CEW, biology and life sciences majors get the largest return to a graduate degree (101 percent). So if your goal is to start making money as soon as you get your bachelor’s degree, majoring in biology probably isn’t for you. In addition to the CEW report, Payscale’s College Salary Report can be a useful resource for seeing what your (potential) college major is worth. According to Payscale, STEM majors that lead to the lowest earnings include veterinary technology, horticulture, exercise science, wildlife biology, and behavioral science. (Regarding what counts as STEM, I’ve used the ACT’s list of STEM majors.) These majors are a textbook example of why framing the conversation in terms of STEM versus the liberal arts can be woefully misleading. You wouldn’t think that art history, for example, leads to a higher early- and mid-career pay than wildlife biology ($65,400 compared to $61,400, respectively), but that’s exactly what Payscale’s report shows. Yet another complication is earnings variation. 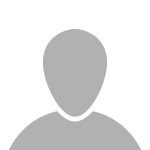 For example, earnings at the 25th percentile for naval architecture and marine engineering is $44,000, but earnings at the 75th percentile for the same major is $120,000—a difference of $76,000! Other majors with high earnings variation include physics, economics, and business economics. These majors are typically viewed as highly pragmatic. However, contrary to what you might expect, some physics majors are making short of $38,000 a year. Furthermore, according to a Georgetown University 2018 report, Five Rules of the College and Career Game, the 25th percentile of architecture and engineering majors earn less than the 75th percentile of majors in either the arts or humanities and the liberal arts. These findings illustrate an important, albeit somewhat obvious, truth: Success depends on a multitude of different factors, not just on one’s college major. There’s a lot of debate surrounding to what extent college selectivity matters for one’s future success. There's evidence to suggest, however, that it matters for some majors more than others. A 2015 study by Eide, Hilmer, and Showalter has found that “among all majors, the field with the most acute earnings differences across college selectivity types is business… [which] could be related to differences in alumni networks and other connections with potential employers for jobs and internships and due to institutional prestige.” College selectivity could be used to explain why Payscale’s Best Schools for Humanities Majors by Salary Potential report shows that humanities majors from Dartmouth have median salaries of $60,700 early in their careers (their mid-career pay is $143,000), while the average median earnings for humanities and liberal arts majors is $47,000, according to the CEW. These numbers seem to confirm what many of us may have already guessed: You can afford to major in the field you want if you attend a selective university. So, should you major in philosophy after all? There isn’t a clear-cut answer, largely because the whole point of this article is to warn against oversimplifying the issue of choosing a college major. The misconceptions we’ve highlighted illustrate the danger of oversimplifying the issue into a STEM versus liberal arts debate, but one could also overgeneralize by placing too big of an emphasis on future earnings. At the end of the day, there are many different reasons why you might choose one major over another, and salary potential is only one of several important factors. The resources we’ve highlighted here can be an important tool as you go about choosing your major, but only you should have the last say.